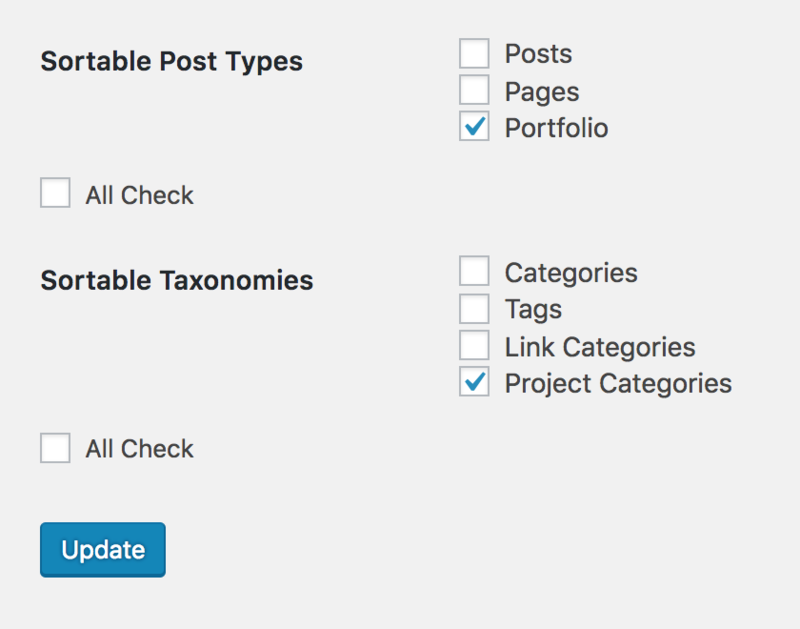 In your WordPress Admin Panel go to Appearance > Themes > Add New > Upload. Choose the theme file (mauer-stills.zip) and click ‘Install Now’. Once the theme is installed, you will see a ‘Theme installed successfully’ message and a link for activating the theme. Click the ‘Activate’ link. After the theme is installed you will see the following message in your Admin Panel. After the plugins have been installed, activate them by going to ‘Plugins’ in your Admin Panel. To import the demo, go to Tools > Import. 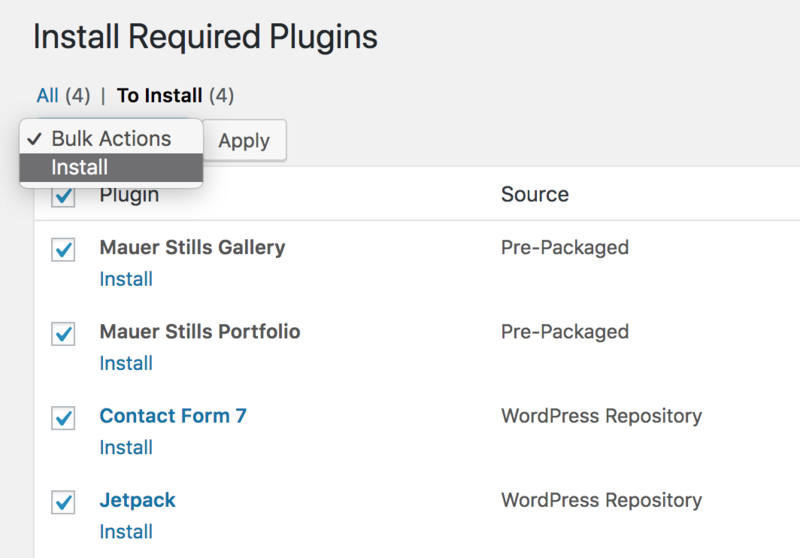 At the bottom of the list you will see WordPress, click the ‘Install now’ link — this will install the WordPress Importer plugin. Choose the demo content XML file (located in the ‘Demo Content’ folder) and click ‘Upload file and import’. In the next screen, you can assign an author for the content (optional). Please check the ‘Download and import file attachments’ checkbox and click ‘Submit’. Go to Settings > Permalinks. Under ‘Common Settings’ select ‘Post name’. Click ‘Save Changes’. Finally, go to Theme Options > General and click the ‘Update’ button on the right. 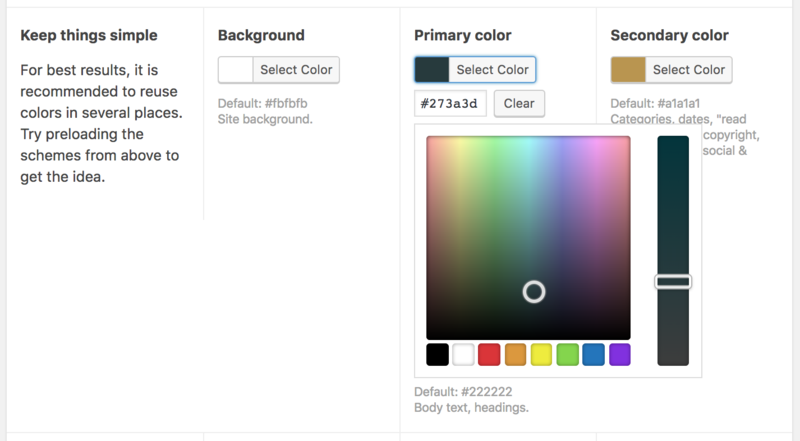 To enable custom colors check the ‘Use custom colors’ checkbox at the beginning of the Theme Options > Colors section. If you feel like returning to the original color, just copy its value from under the color picker, and insert it in the color picker text field. This theme also provides three ready-made color schemes. To use them, click a scheme name at the top of the color schemes panel. After a scheme has been preloaded, click the ‘Update’ button on the right to save the settings. To enable custom fonts, check ‘Use custom fonts’ in Theme Options > Fonts. There are five fonts that can be customized. This, though, does not mean all the five fonts should be different. Having five areas provides freedom of where to use each font from the reasonable two or three fonts combination. When you select a font weight, please make sure that the font you want to use actually exists in the specified weight. Also, please make sure the font you select exists in your language. Not all fonts are created equal. E.g. Helvetica and Times appear very different at 18px nominal size. With many themes, you have to reject certain fonts you actually like— just because they look too large or too small in the theme. That’s why Stills provides proportional font size control — to widen your actual choice and offer more precise control over typography. When using a Google font, enter its name in the ‘Google font name’ field (if it has spaces in the name, just enter them). Unlike many other theme authors, Mauer Themes is not using a predefined list of Google Fonts in the theme because the list would often get outdated as the awesome Google Fonts library is ever growing. This theme also provides three ready-made font schemes. To use them, click a scheme name at the top of the color schemes panel. In your Admin Panel go to Contact. Any contact form that you create while you have this theme activated will have markup different from the default Contact Form 7 markup. The difference is in that this theme makes contact forms have labels displayed inside the fields (as placeholders). If you are using the demo content, it’s recommended to use ‘Contact Form by Mauer Themes’ form (as it is already added to the About page). Go through the email addresses here and change them to the ones of your choice. Also be sure to change the site name and email signature. 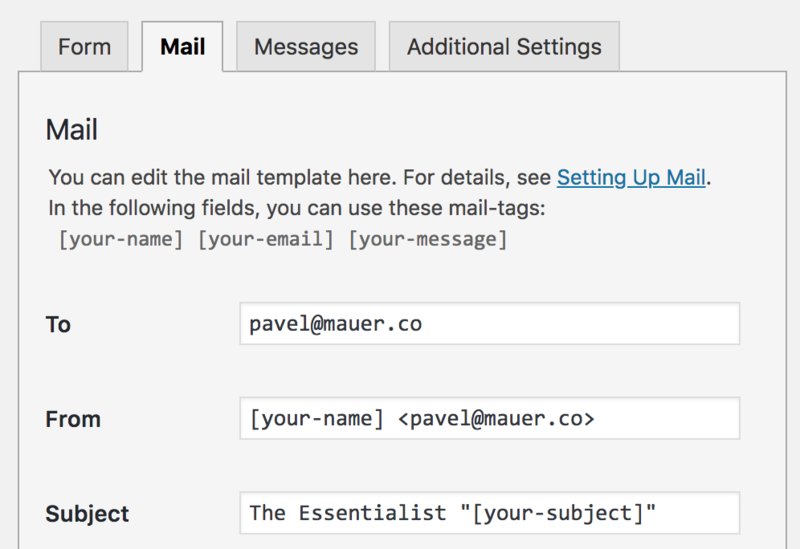 If you prefer to use the ‘Mail(2)’ option, be sure to do the same for that template. Don’t forget to click ‘Save’ when you are done. This sharing functionality is powered by the Jetpack plugin, which you should have installed if you’ve followed the steps in the first chapter of this User Guide (‘Theme installation, demo content import’). 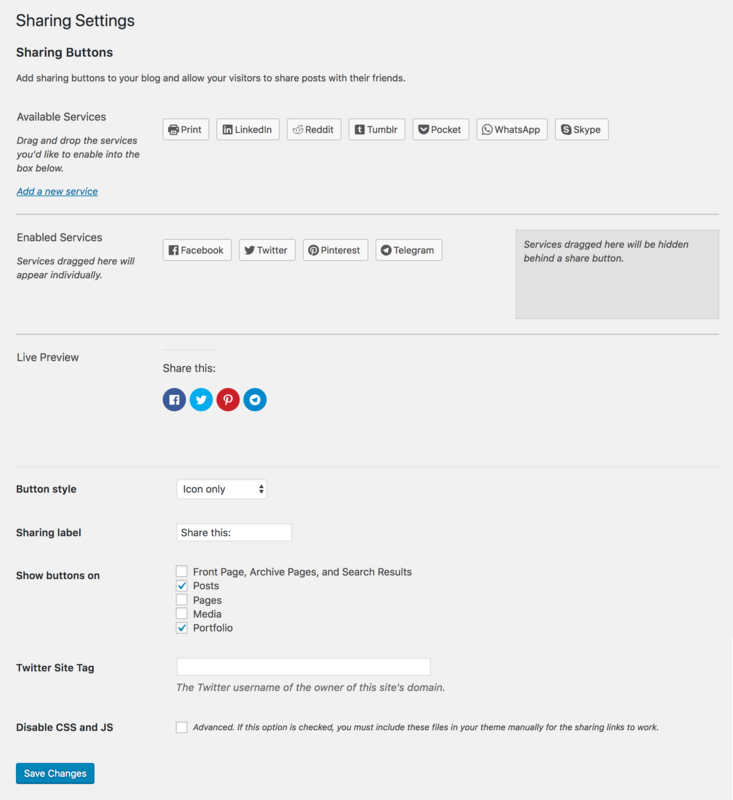 To have the same social sharing setup as in the demo you will need to connect the Jetpack plugin (see below). You will need a wordpress.com account (it’s free). Please connect your Jetpack plugin by going to ‘Jetpack’ in your Admin Menu. Among other useful things, Jetpack will automatically create OpenGraph tags on your pages — this will tell Facebook to fetch images when someone posts a link to your site on Facebook. If you’re wondering about the social profiles icons in the header, they are set up in ‘Theme Options’ > ‘General’. If you turn on lazy loading, your images will be loaded as they are scrolled to (vs. having to wait while all images load). This greatly improves user experience, as users get the content sooner. It is highly recommended to turn on lazy loading of images. Lazy loading images in this theme are powered by the Jetpack Lazy Images module. As you probably know, Jetpack has been developed and is maintained by Automattic — the actual company behind WordPress itself. So it is well supported and is sure to stick around. There does not seem to be any reason to prefer other plugins for lazy image loading. Furthermore, other plugins may require custom coding to work with the theme. With this theme, you can easily create galleries that alternate between one- and two-image rows. When creating a gallery (not to be confused with inserting single images), add a #half tag to two neighboring images’ captions and they will stand in one row. The #half tag is not displayed on the frontend. Please see a demonstration here. 8. Changing order of portfolio items, categories, etc. Install and activate the Intuitive Custom Post Order plugin. Then go to ‘Settings’ > ‘Intuitive CPO’. Check Portfolio and Project categories and update the settings (see above). Please adjust the ‘Nu. of projects on portfolio pages’ settings in ‘Theme Options’ > ‘General’ according to the Portfolio layout you choose. A similar recommendation goes for blog posts — try to use even numbers for 2-column layouts. The setting controlling the number of posts per page is located in ‘Settings’ > ‘Reading’, its title is ‘Blog pages show at most’. 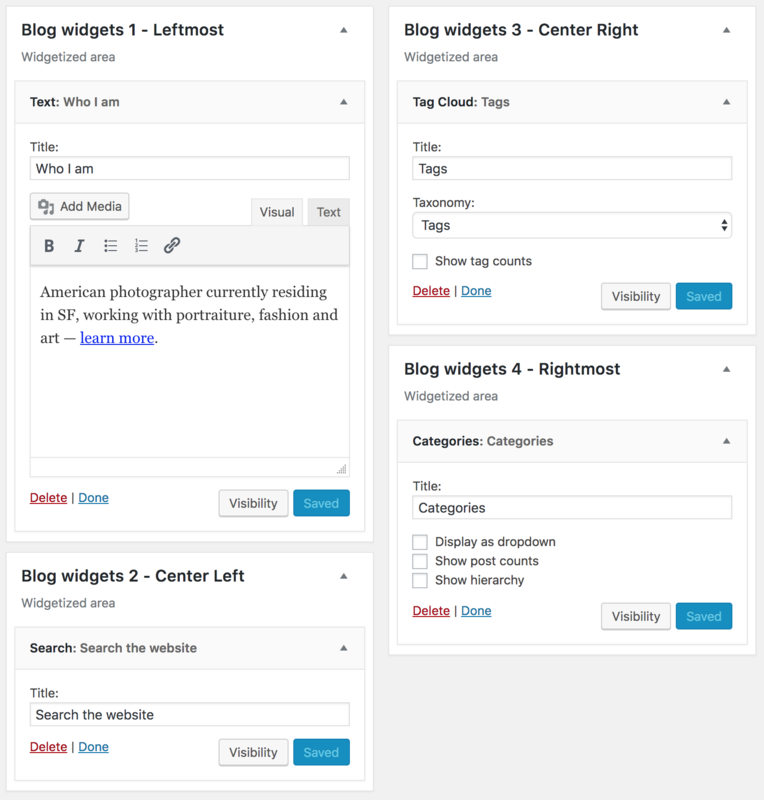 What you might not know is that you don’t need to resize images manually before uploading — WordPress automatically generates all the sizes of an image used in the currently active theme once you upload an image. So if your images’ size is in the range of 1500px (by the bigger side) to 3750px (by the bigger side), just upload them, and WP will automatically create copies in all the needed sizes. If you use pictures which are smaller than 1500px by the bigger size, they may turn out to display incorrectly. And if you use images that are bigger than 3750px by the bigger size, WP may have problems processing them (depending on your server). If you want to insert a single image that would be opened in a lightbox when clicked, consider creating one-image galleries.